This Club was Chartered in 1983 and has served this community ever since with a range of projects and events in a relaxed and innovative style. It is a friendly and informal club. We are delighted to be associated with the newly rebranded "Great Southern Hotel" (this beautiful location is shown in the images above)—formerly the Malton—one of the premier hotels in Killarney. We meet in the great dining room for a relaxed two course lunch and conversation. Killarney is situated beside the Killarney National Park and, with its many excellent hotels and venues, the visitor has access to everything they would need for a business or leisure visit. They meet every Wednesday at 1 PM for lunch at the Great Southern Hotel in Killarney, County Kerry. 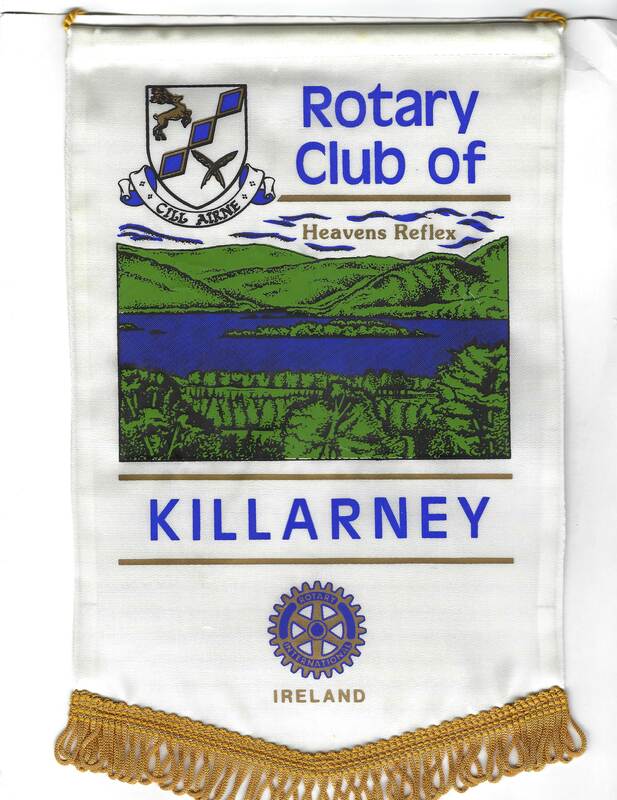 Interesting Fact: Just yesterday; 11 year old Ava Duffy became the youngest ever winner of Killarney Rotary Club’s annual Young Musician of the Year award. You can read more about that event here in Killarney Today.